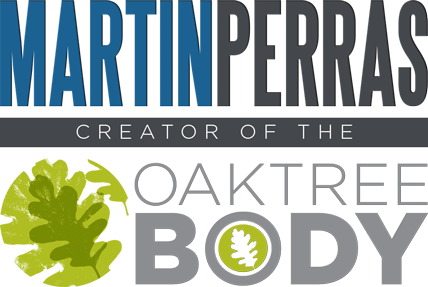 Join the Martin Perras Community & get my FREE e-book! Download your free OAKTREE BODY Nutritional Program e-book to get started on your path to better health! The OAKTREE BODY Nutritional Program is built to be simple, easy, satisfying, and sustainable. It is built to accommodate busy lifestyles and to allow you to enjoy real wholesome and tasty foods! The OAKTREE BODY Nutritional Program will give you the tools, support & accountability you need to succeed whether your goal is to lose weight, gain energy, feel more vibrant, sleep more soundly or just eat better and live a healthier life! If you are ready to get started on your OAKTREE BODY journey, sign up today to gain full access to all of our course material and get the accountability and support you need to succeed! If you have more questions before you get started, send me an email (martin@oaktreehealth.ca) and I would be happy to answer any questions you might have or provide you with further information about the program. Subscribe & get my FREE e-book! Join me on my adventure and recieve a FREE copy of the Oaktree Body Nutritional Program E-book! Martin Perras © 2019. All Rights Reserved.